Climate change and infertility – a ticking time bomb? “There is a risk that we are underestimating the impact of climate change on species survival because we have focused on the temperatures that are lethal to organisms, rather than the temperatures at which organisms can no longer breed,” explains Dr Tom Price from the University’s Institute of Integrative Biology. Currently, biologists and conservationists are trying to predict where species will be lost due to climate change, so they can build suitable reserves in the locations they will eventually need to move to. However, most of the data on when temperature will prevent species surviving in an area is based on the ‘critical thermal limit’ or CTL – the temperature at which they collapse, stop moving or die. In a new opinion article published in Trends in Ecology and Evolution, the researchers highlight that extensive data from a wide variety of plants and animals suggests that organisms lose fertility at lower temperatures than their CTL. Certain groups are thought to be most vulnerable to climate-induced fertility loss, including cold-blooded animals and aquatic species. “Currently the information we have suggests this will be a serious issue for many organisms. But which ones are most at risk? Are fertility losses going to be enough to wipe out populations, or can just a few fertile individuals keep populations going? At the moment, we just don’t know. We need more data,” says Dr Price. To help address this, the researchers propose another measure of how organisms function at extreme temperatures that focuses on fertility, which they have called the Thermal Fertility Limit or ‘TFL’. “We think that if biologists study TFLs as well as CTLs then we will be able to work out whether fertility losses due to climate change are something to worry about, which organisms are particularly vulnerable to these thermal fertility losses, and how to design conservation programmes that will allow species to survive our changing climate. “We need researchers across the world, working in very different systems, from fish, to coral, to flowers, to mammals and flies, to find a way to measure how temperature impacts fertility in that organism, and compare it to estimates of the temperature at which they die or stop functioning,” urges Dr Price. The work was carried out in collaboration with scientists from the University of Leeds, University of Melbourne and Stockholm University and was funded by the UK Natural Environment Research Council (NERC). 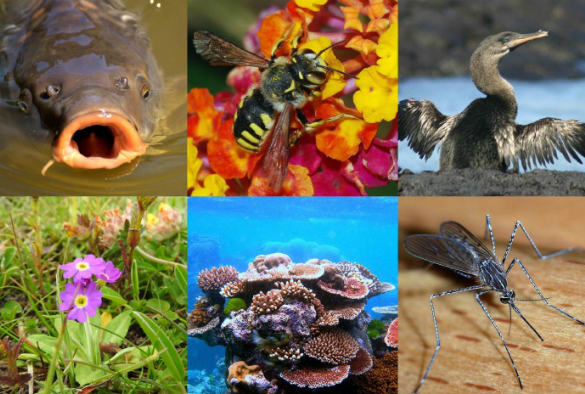 Image: Examples of organisms that may be particularly at risk of losing fertility due to high temperatures. All photographs are licensed under CC BY 2.0. Credits: Joaquim Alves Gaspar, Charles Sharp, Toby Hudson, and David Glass.